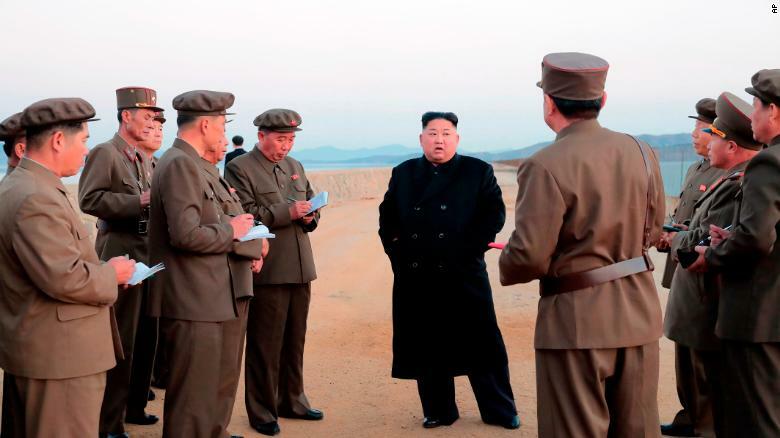 North Korea has tested a “newly developed ultramodern” weapon in an event supervised by leader Kim Jong Un, state media said Friday, amid faltering nuclear disarmament negotiations with the United States. Very little is known about the weapon or whether it is even new, but the test is the latest sign that Pyongyang is prepared to return to a more militaristic relationship with Washington if talks continue to go poorly. 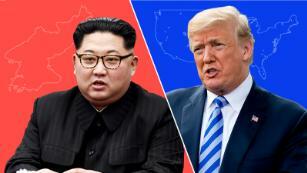 “He’s tiptoeing towards a more aggressive posture in negotiations with the US and he’s signaling that he’s not going to give way and can simply return to his old practices if (the US) don’t change their approach,” Josh Pollack, senior research associate at the Middlebury Institute of International Studies at Monterrey, told CNN. In this undated photo released on Friday by the North Korean government, Kim Jong Un, listens to a military official as he inspects a weapon testing. North Korea’s state news agency KCNA announced the test on Friday morning, providing no details on the location of the event and little information about the weapon itself other than it was “tactical” and had been commissioned “personally” by Kim’s father and predecessor, Kim Jong Il. “As it is a tactical weapon test, we do not view it as a North Korean military provocation,” the source said. It marks the first time Kim has publicly attended such a blatantly military-focused event since his high-profile summits with South Korean President Moon Jae-in and US President Donald Trump in early 2018. “Chairman Kim Jong Il had chosen personally and directed step by step with his special attention paid to it was born at last,” the KCNA article said. Despite huge hopes for a breakthrough following the international summits with Moon and Trump, little progress has been made in recent months. On Thursday, US Vice President Mike Pence said the US was backing down on a requirement for North Korea to provide a full list of nuclear and missile sitesbefore a second meeting between Trump and Kim. In a separate development on Friday, North Korea announced it would deport a US citizen who it claimed had crossed the border “illegally” from China. The man, identified as Bruce Byron Lowrance, reportedly entered North Korea on October 16, saying he was under “the control of the US Central Intelligence Agency” at the time, according to KCNA. A spokesman for the US Embassy in Seoul told CNN he was unable to comment on individual cases “for privacy concerns.” CNN has reached out to the US State Department and the South Korean government for further comment. In 2017, a man with the same name was deported from South Korea after he was caught wandering near the North Korean border, according to the LA Times. They said he wanted to “help resolve the conflict” between Washington and Pyongyang. Pollack said the weapon test was the latest “veiled threat” from Pyongyang to US that if progress wasn’t made soon, a more hostile relationship could be back on the table. “What kind of weapon this may be is perfectly ambiguous … but they did attribute it to the Academy of National Defense Sciences and they are associated with the missile program,” he said. Shin Beom-chol, a researcher at the Seoul-based Asan Institute, said although the exact type of weapon was unknown, it was unlikely to be a missile as South Korea would have detected it. “North Korea did not go on into any further detail about this test because they probably didn’t want the situation escalating out of proportion,” he told CNN.